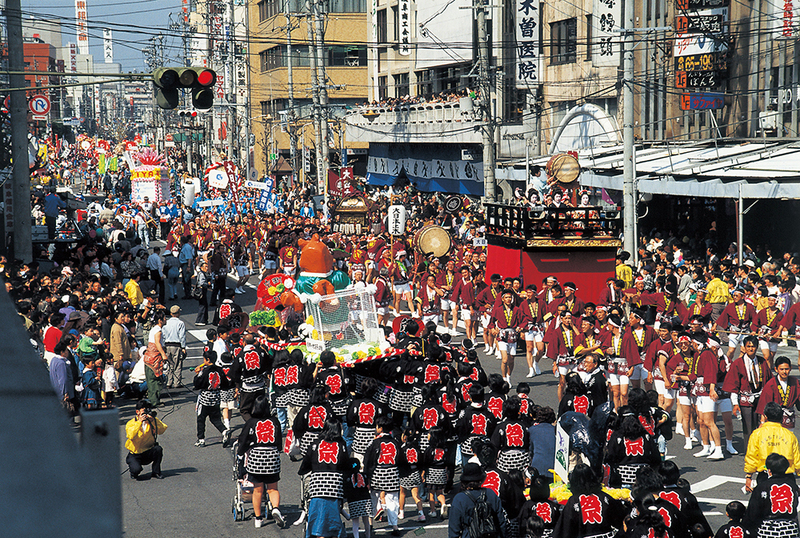 The Dosan Festival is one of the biggest festivals in Gifu City. It is held on the first Saturday and the following Sunday of every April. Starting with the memorial service for SAITO Dosan at Jozai temple (Dosan's family temple), many events are held such as mikoshi (portable shrine) parades that feature the festival, a parade by musical bands, and a flea market. The festival attracts many visitors every year. The Eve is held on the night of the first Saturday in April. 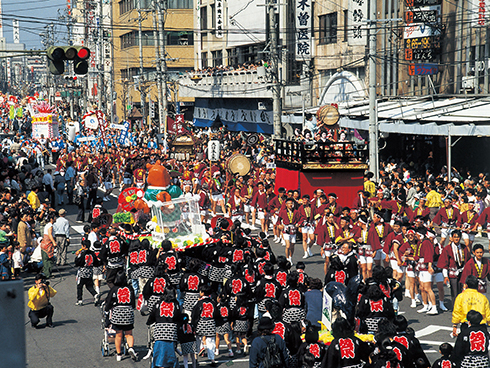 Four dashi (floats) and a mikoshi (portable shrine) are paraded with great vigor. 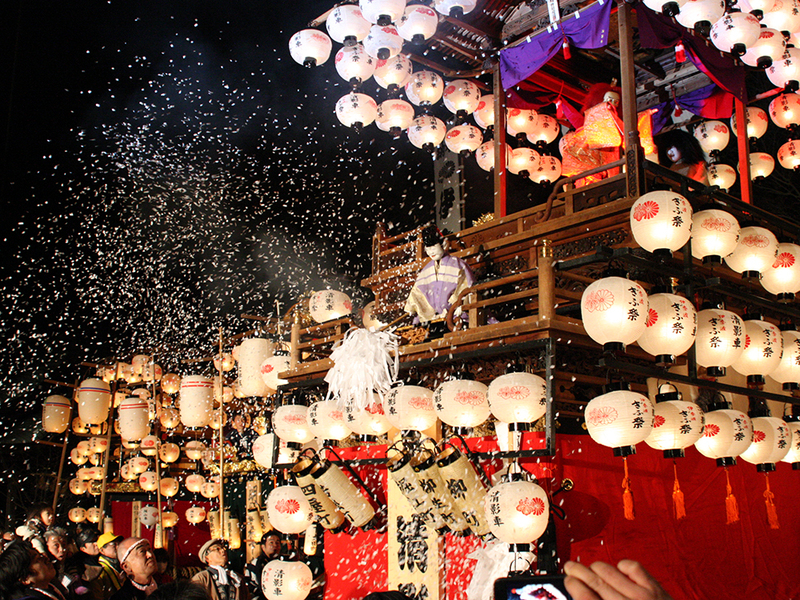 The floats are decorated with many paper lanterns, which are swung back and forth and around. 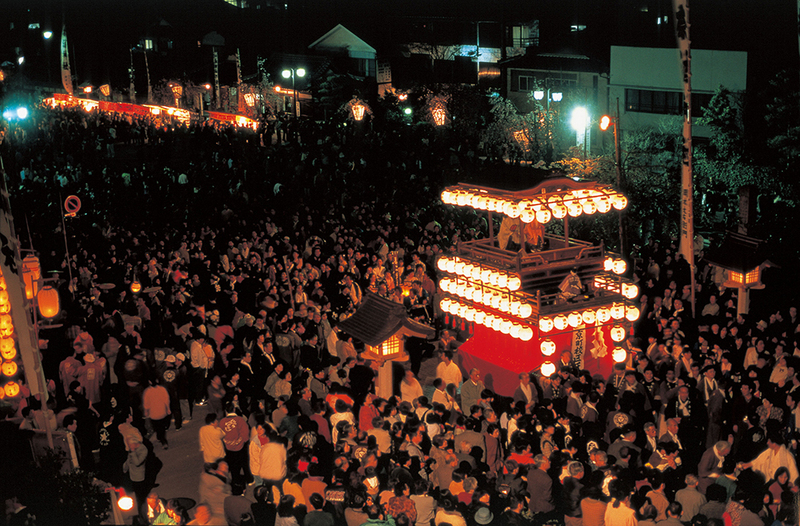 The portable shrine is shouldered by people who let out powerful shouts. 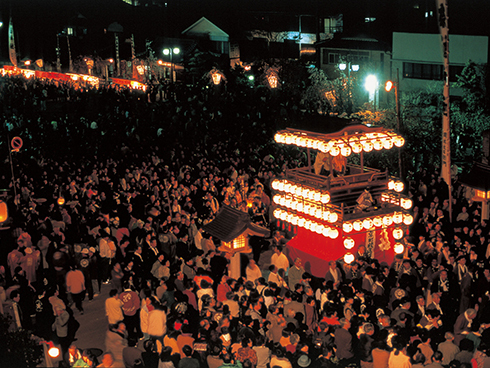 After the floats reach their destination to be lined up in the open space in front of the torii (shrine gate), a wind-up doll show is performed, which is followed by a fireworks display which is the climax of the Eve festivities. You will surely enjoy visiting this festival!